Dotty Griffith is one busy lady! Her cookbook The Texas Holiday Cookbook is one of my favorites, and she's been busy doing interviews and appearances all season long. If you would like to say hello to Dotty and pick up an autographed copy of her book stop by Veritas Wine Room Saturday November 22 from 5-7. 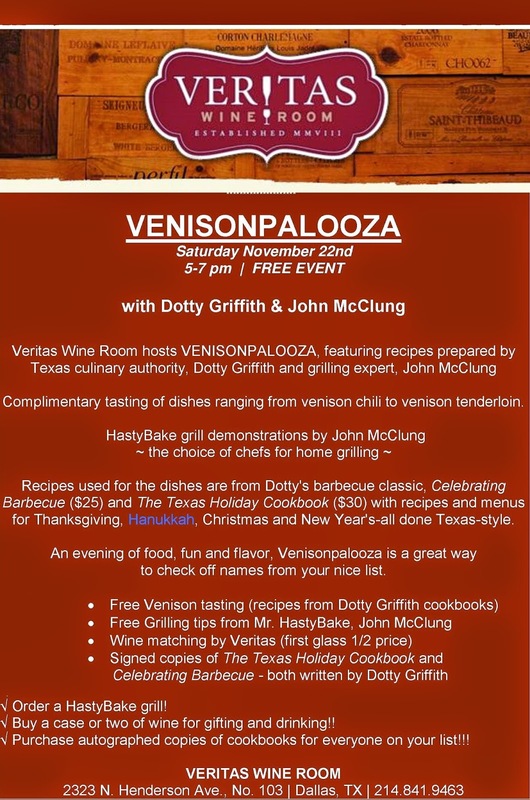 There will also be free tastings and wine matchings, and HastyBake grill demonstrations by John McClung. We have had such great weather for so long I thought I'd welcome the rain - which I did - but now it's great to see blue skies and perfect weather outside my window. 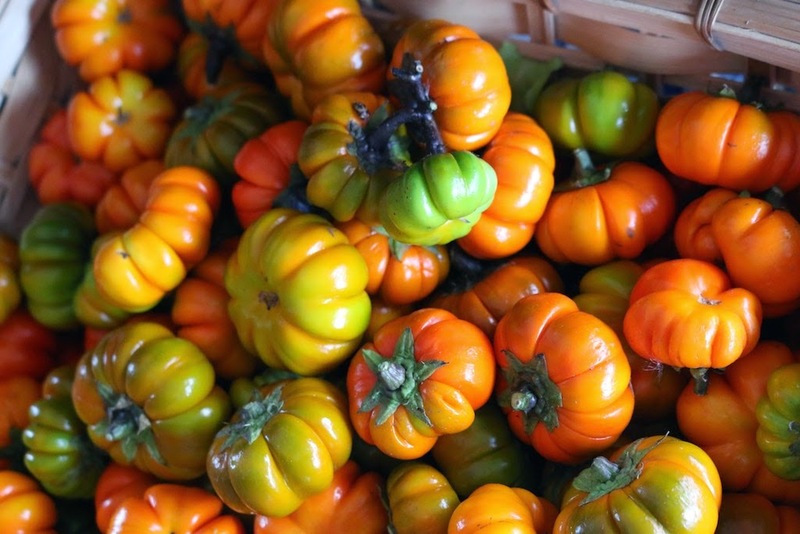 Heading to the Dallas Farmers Market to pick up some goodies to start decorating for the holidays with. 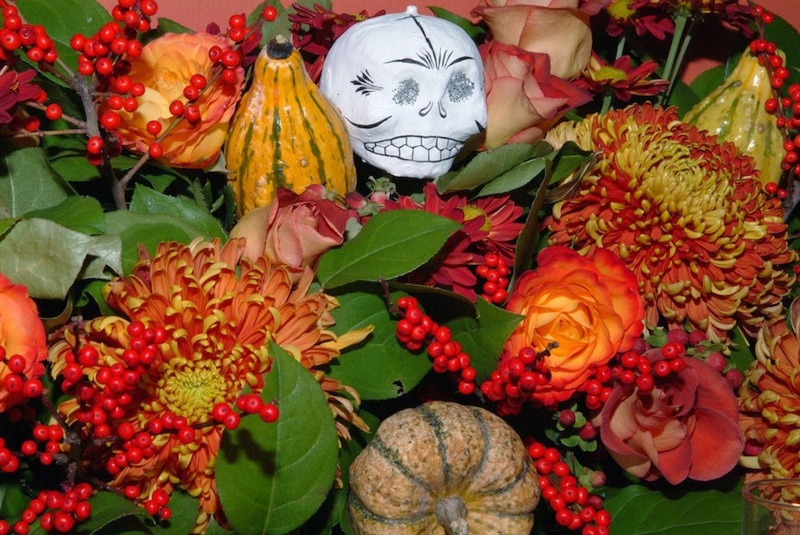 Fall has arrived in Dallas, and a great way to celebrate the change of weather is to head on down to Bishop Arts today from 6-10pm to enjoy their Dia de Los Muertos celebration. Also known as "Day of the Dead" this holiday is traditionally celebrated in Mexico and is a day of honoring and celebrating the dead with song, dance, food and of course drinks. We were fortunate enough to be invited to a dinner at the James Beard House in NYC that was prepared by Chef Joanne Bondy and the Ciudad team, and after that amazing weekend this has become one of my favorite holidays. See you at Bishop Arts!